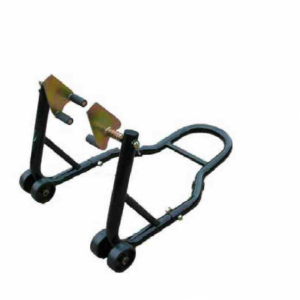 Our BMW Forklift Stand features wider spaced pegs on the swivel that goes under the forks. 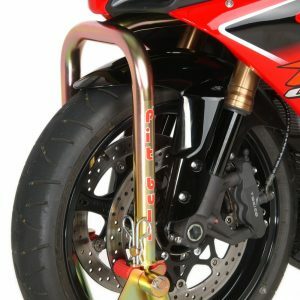 This allows it to better fit bikes like the BMW R1100, K1200/1300, R1200 (’05-’12), K1600, and other bikes with similar fork designs. 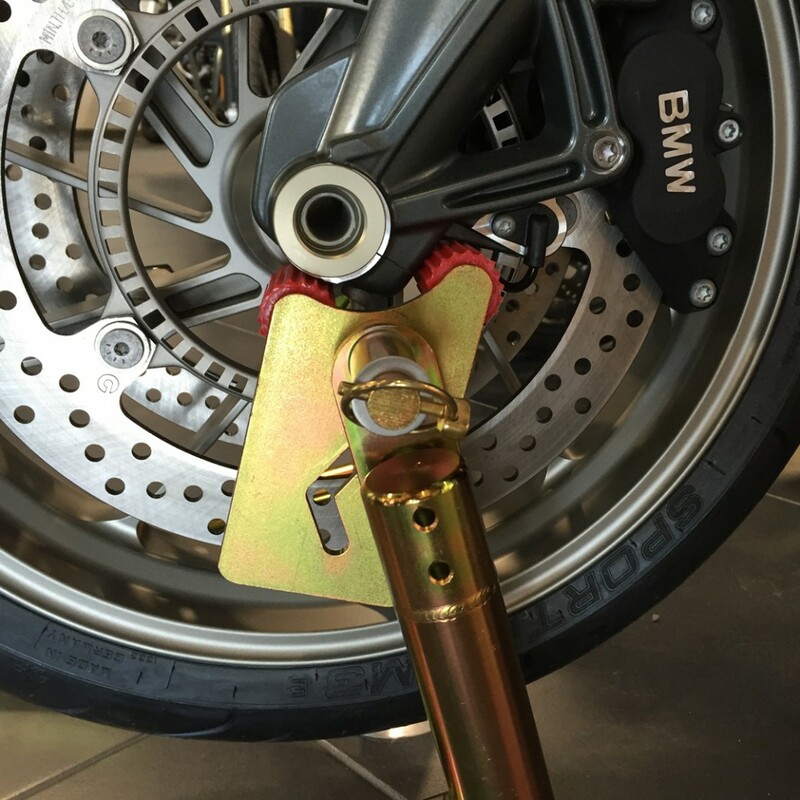 NOTE:Around 2013 BMW R1200 bikes started featuring the radial mount brakes. 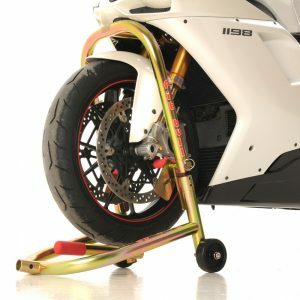 On those models, you can use this stand OR the normal F0100-100 front stand from under the caliper brackets. 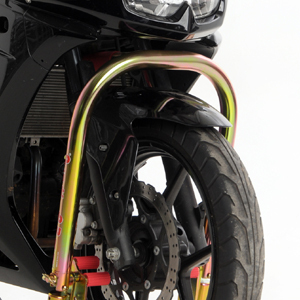 If you’re not sure which stand your bike will require, give us a call or send an email inquiry. 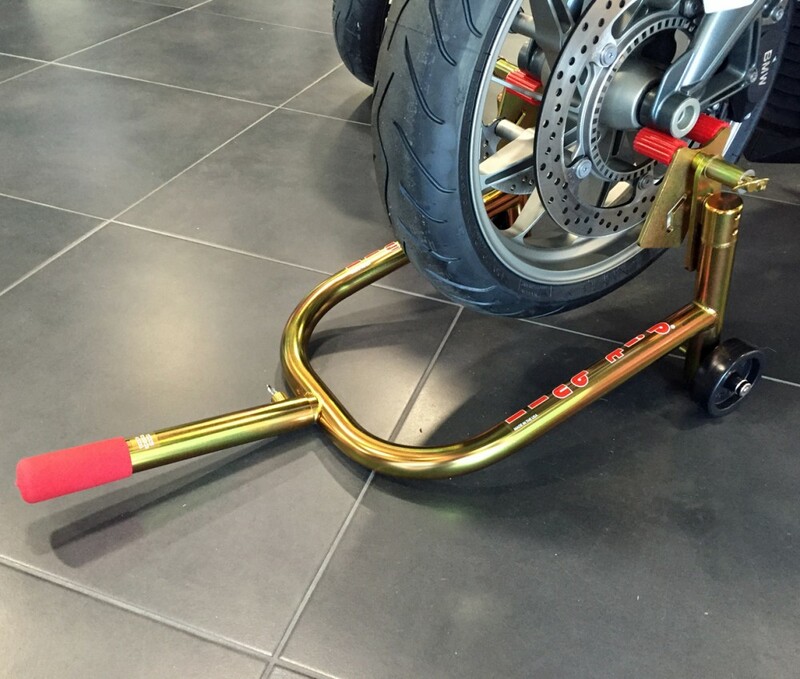 Some customers prefer the BMW Forklift on their Suzuki = Hayabusa forks as well as Harley XR1200 forks. 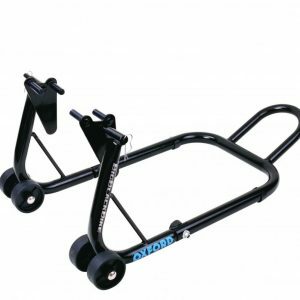 The BMW Forklift is available with an optional removable handle which you can select when you add it to your basket for a charge of only $10. 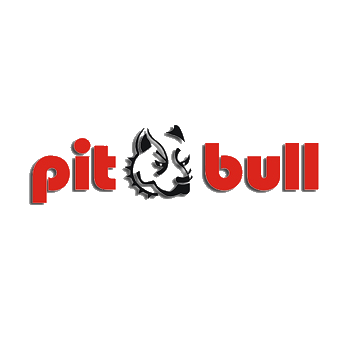 If you select the removable handle model, you can even select an extended removable handle which will increase your leverage considerably. 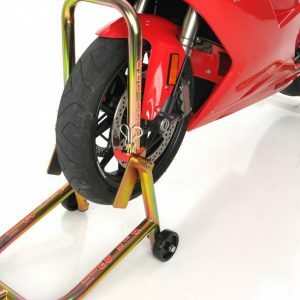 NOTE: When using this stand without the aid of a rear stand, you may want to add the custom BMW Pivot Plates from the dropdown menu. 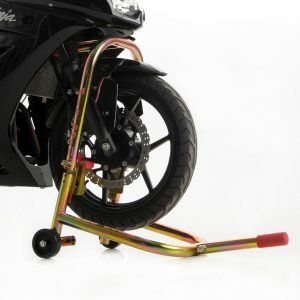 These will allow the front stand to be adjusted lower than our other front stands which will prevent the center stand from coming off the ground when you lift the front of the motorcycle. 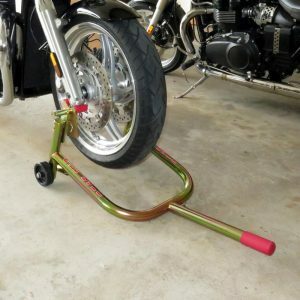 This is optional because you can also put a 2″ x 12″ under the center stand for stability if you would prefer.